Through the course of her distinguished career, Dr Susan Lim held various notable positions in medical and educational institutions. In 1990 she assumed the role of consultant surgeon and Senior Lecturer in Surgery at the National University of Singapore. This was the year in which she carried out the first successful liver transplant and also led the Liver Transplant Program at the hospital as Director. The next year Dr Lim assumed the position of Associate Professor in Surgery at the National University of Singapore. 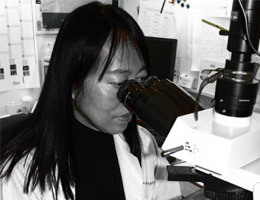 From 1990 until 1995 she was principal investigator of a research project focused on using tissue harvested from foetal pancreases to study islet cell transplantation models. The project was funded by the National Science and Technology Board. Her interest in stem cells led to Dr Lim founding Stem Cell Technologies i, a local biological technology start-up that does adult stem cell research. The company started collaborating with the National University of Singapore on a 10 year project aimed at researching a possible treatment for diabetes using mesenchymal stem cells. Dr Susan Lim’s interest in stem cells further led to research on induced pluripotent stem ( iPS) cells. From 2007 until 2012 Dr Lim was the Group Leader for the Stem Cell Transplantation Program at Monash University. During this time she held the role of Honorary Professor at the Immunology and Stem Cell Laboratories of the Monash University Faculty of Medicine.